The epicardium forms the outermost layer of the heart. 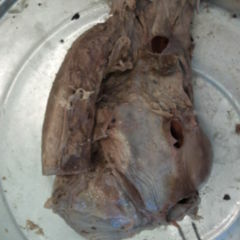 It is identical to the visceral wall (visceral lamina) of the pericardium. The epicardium is firmly connected to the myocardium. 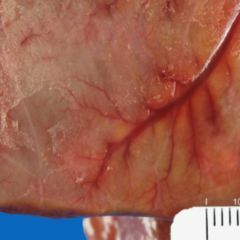 It consists of a single layer mesothelial layer and an underlying, narrow subserous stromal from connective tissue. 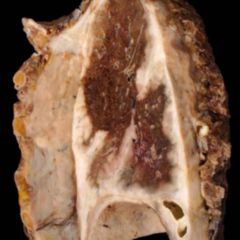 Below this is the epicardial adipose tissue which compensates for inconsistencies on the surface of the heart and in the larger coronary vessel. 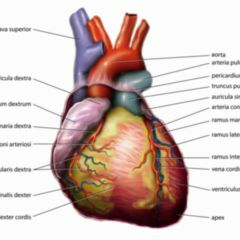 The epicardium produces a small amount of liquid, the pericardial fluid, which humidifies the space between the epicardium and the parietal layer of the pericardium and thereby reduces the friction between the two layers.